New Delhi: Senior Congress leader andAICC office bearer and former governor of Gujarat Randeep Singh Surjewala on Monday criticisesd Modi government for high fuel costs. “Modi ji is not running a Govt but ‘A Profiteering Company’ to Fleece the People”, said Surjewala. 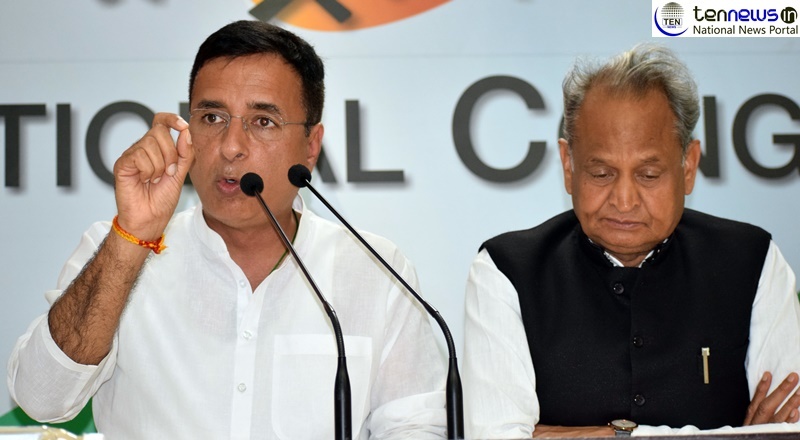 Addressing a Press conference at All India Congress Committee (AICC), Rajdeep Singh Surjewala and Senior Congress leader Ashok Gehlot said Bharat Bandh was Successful Across the country. “Bharat Bandh was a resounding success with People’s support, from Kashmir to Kanyakumari & Agartala to Alang.